If you are looking for a blanket to cuddle up with, look no further, our ultra soft and warm Sherpa blankets are the way to go. Our Sherpa blankets have that velvety / minky type fabric on the pattern side, while the warm and cuddly Sherpa is on the reverse side. Our blankets are available in many different designs, prints, patterns and colors; from fun thematic designs for kids such as Animal Alphabet to Zebra Print for the stylish home. You can easily customize the layout, the background pattern, the label, the ribbon, the colors with a couple of click in our customization tool. 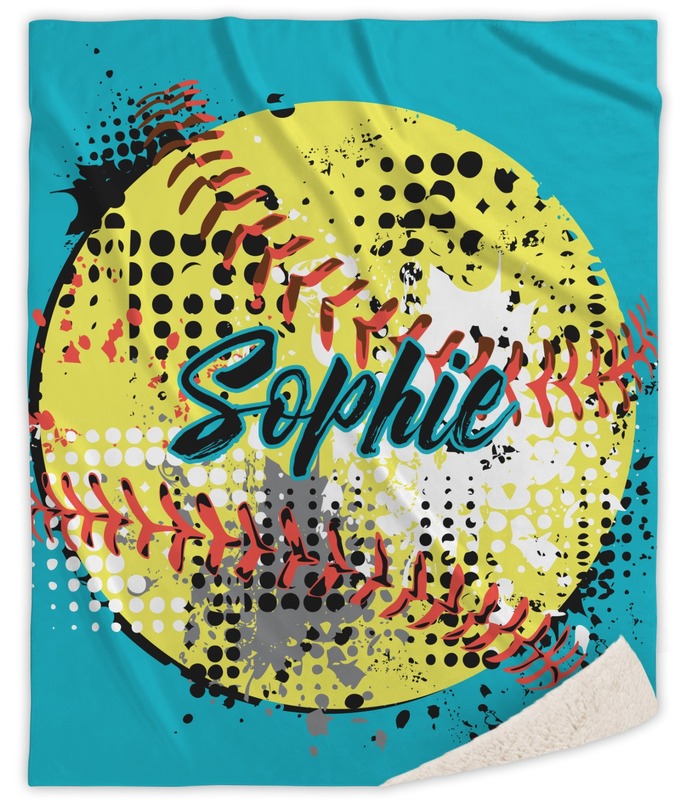 We show most of our blankets with personalization, but to keep or remove is completely your choice. You can also upload your own art or photo and even design it vertically OR horizontally. Our Sherpa blankets are available to you in two sizes - 50x60" and 60x80". These blankets are perfect as throw blankets and can also be used on beds. The 50x60" size is perfect for your toddler's bed, while the 60x80" will drape beautifully over a twin bed or fit perfectly on top of a full/queen bed. It's not as thick as I thought it would be. The sherpa blanket I have is very plush; this one not so much. I don't think it'll keep her very warm at tournaments, but it's super cute. Bought this for my daughter for Christmas - it's perfect! She is going to love it! !